Great. The double orange one...is it a peacock? Arbab the doubles are stunning.Both the Rosseta & Celica are exotic! Arbab my First love buds failed to flower. Arbab look at the Arctic Nymph. aykhan wrote: Great. The double orange one...is it a peacock? UMARKHANMARDAN Arctic nymph is really pretty, buds fail to open bcoz of excess water/heat/cold. When is the right time to divide amaryllis bulbs ? 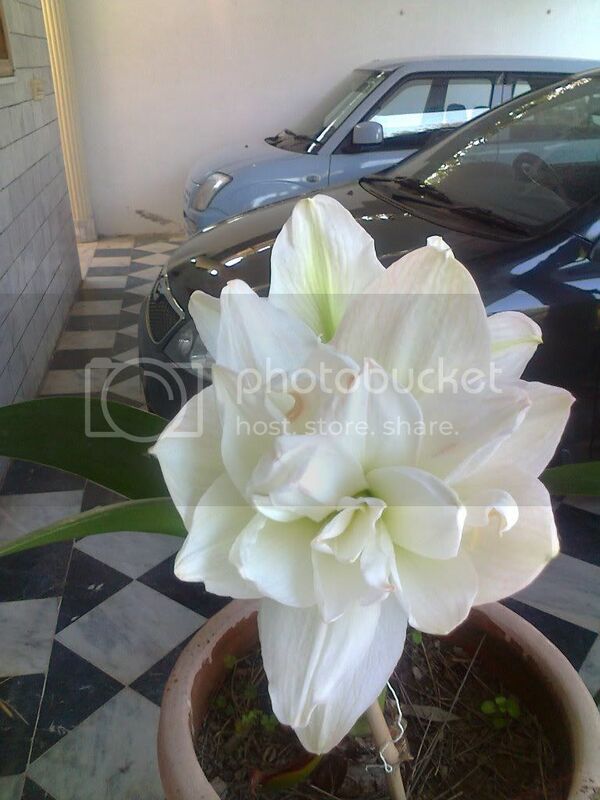 Arbab wrote: When is the right time to divide amaryllis bulbs ? Why do you want to devide them? they look much better when in clumps. Dont devide just keep repotting in bigger pots, 4-5 bulbs in a 14 inch pot are good enough, a large round PAYALLA can accomodate up to 20. A 14 inch pot is OK for them.